If you would like to become a member of TEAC Club please download the TEAC Club application form and bylaws below. Print a copy and follow the instructions on the application. Annual dues are $30 per year ($40 for family membership), prorated by month for the first year of membership. Current member dues must be paid within the first 90 days of the new year and are not prorated. Bring the completed application form and a check for your dues to the next monthly meeting and give to the TEAC Club Secretary. 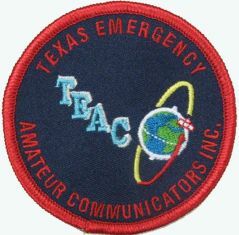 If you are a member of TEAC and have paid your annual dues, Contact Us to request a password to the Members Only section.